Thanks again to Ora for sharing this piece. Over the last 30-40 years, there has been a general growing trend of finding transgender characters and their stories portrayed in pop culture. It has been limited, but then so are our actual population statistics relative to the population. We are not such a big demographic as women or people of color. But representation matters nonetheless. But first, let me introduce myself. I’m a male-to-female transsexual. I’ve been a woman for over 9 years, though I have been unable to afford the final surgery in all that time due to student loans. To spare you the life story, let’s just say my life has not been easy and continues along that general path, but I’m getting better at life as we all do. In the text below, I do not presume to speak for female-to-male transsexuals, transgender people of any other persuasion beyond my own, or even as a spokesperson for the male-to-female transsexual community. What I have to share is my own perspective on this journey. I believe many people will find resonance with it. Take it all with a grain of salt. I like it when people think for themselves. I’ll be referring to contemporary pop culture (aka “modern media”), meaning: movies, television, fiction literature, comics (online or paperback), graphic novels, cartoons, manga, and other media. In contemporary pop culture transgender characters are not well represented. I haven’t done figures on the exact percentage comparison of representation, that is whether the actual percentage of the real world population’s transgender contingent is matched in fiction worlds. Such an analysis would be substantial (someone is probably doing a Master’s thesis on it). Instead, I’d like to analyze the characters that currently exist. Modern media’s representations of transgender characters generally falls under three umbrella categories: Murderer/Villain, Comedy/Farce and Tragic. Each of these categories represents a noted step in the right direction as transgender people have increased their rights and image over recent decades. Incidentally, if you look closely you will see these archetypes have played out for other underprivileged demographic populations in media as well. Comedy/Farce. Some Like It Hot, Victor/Victoria, Tootsie, Priscilla Queen of the Desert, Too Wong Foo, Mrs. Doubtfire, The Birdcage (La cage aux folles), Just One of the Guys, Ranma ½, White Girls, Aunt Medea, Big Momma, Just One of the Girls, Jack & Jill, The Wedding Singer, and more. This is a common sitcom trope as well, so there are dozens of TV episodes that could be cited to this second category of transgender “representation.” This takes a step far beyond the villain category, because it says that transcending gender barriers is just harmless fun. Such characters and scenarios might be very acceptable for those interested in drag or cross-dressing primarily for the fun of it. However, for those transgender people who take their identity seriously, especially for me as a transsexual woman, where my identity is not a laughing matter, this is an insufficient step of “representation.” It should be noted that a few of these go a progressive step further into the realm of being serious about things, especially Tootsie and Priscilla Queen of the Desert. These are not simply comedies. 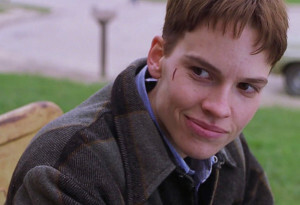 Hilary Swank as Brandon Teena, a young trans man who was murdered in Boys Don’t Cry, a role that won her an Academy Award for Best Actress (2000). Tragic. Dallas Buyers Club, Boys Don’t Cry, Ma vie en rose, and Law & Order: SVU Episode Fallacy (an example of the standardized dramatic television trope where transgender character is killed or nearly killed). It should be noted that in Ma vie en rose, the main character Ludovic doesn’t technically die, but instead experiences a kind of Christ-like ascendance with the French version of a Barbie doll. Christ-like sacrifice is a common theme with transgender characters who get killed. Even in real life, this is a sociological phenomenon, where a transgender person becomes the locus for a community’s ills until the individual commits suicide or is murdered. Then suddenly people weep for the dead person. The situation is treated almost as if it is drama. Certainly news media tends to portray it in that light, but only if there is a death. Two fascinating twists on this trope not only include a transgender character who dies, but does so in relation to another minority demographic individual. In the movie/musical Rent, the character Angel dies a tragic death from AIDS, but this story is based on the Puccini opera La Bohème. The original story features the primary female character Mimi dying of consumption (tuberculosis). Here’s a perfect example of a woman who gets “fridged” for the cause. The term getting “fridged” comes from a criticism of comic books at the turn of the millennium that there are numerous instances of women being killed or severely injured as a plot device to give the male hero impetus to take out the villain. A website was founded in 1999 by comics writer Gail Simone called Women in Refrigerators to this effect. 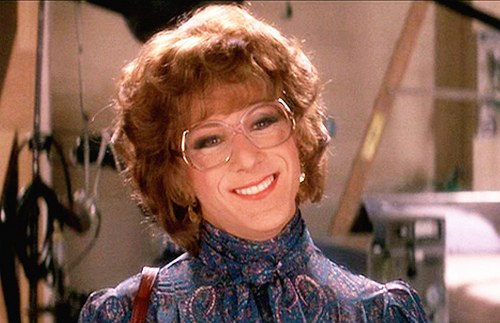 Likewise, transgender characters who are tragically portrayed in media are often used as a literary device. However, one argument might be made that most transgender characters die later in their stories, if not in the very end of the story. This doesn’t mean they aren’t a device for the plot. It just means they aren’t used as an impetus to advance the plot in the middle of the story. Rather, tragic transgender characters are used as a plot device that demands that the reader/viewer look upon the story, after the fact, as something dour, something to be taken seriously, and even at times something to be taken in consideration for an Academy Award. 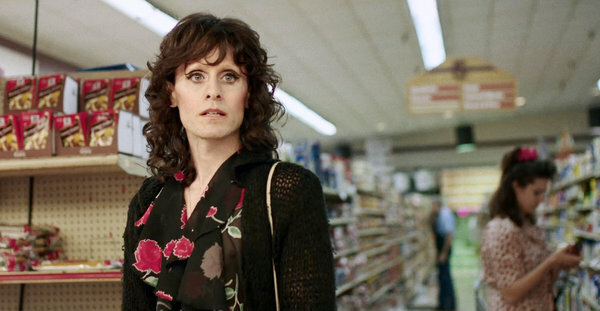 Jared Leto as Rayon, a trans woman, in The Dallas Buyers Club. I’m not the first person to notice that Hollywood transgenderism seems at times to be just one variant of many real life conditions which become little more than philosopher’s stones to turn human suffering into Academy Award winning gold. That doesn’t mean the portrayals are entirely bad, but they’re always tragic/dramatic and never played by people who have actually experienced these things in real life. For how wonderful I found Jared Leto’s Oscar-winning portrayal of Rayon in Dallas Buyers Club, and despite the fact that he went full time as a woman during the filming, he’s still a cisgender man. Representation doesn’t stop at the characters. It also means having actors who are transgender. But this isn’t just about Hollywood. This isn’t just about mainstream or traditional genres. Even in progressive genres like graphic novels in the 1980s and 1990s (largely British at the time, with Alan Moore, Neil Gaiman, and Grant Morrison), there have been issues. The topic that actually sparked this entire article was Neil Gaiman’s portrayal of the character Wanda from The Sandman: A Game of You. In this story, the characters Wanda (a transsexual woman) and Maisie Hill (a black woman) both die as peripheral characters. Particularly, Wanda’s death functions as a tragedy enhancer, with her death being the Christ-like transcendence to an existence where Wanda is shown in her most ideal self-image standing with Death and waving happily. But she’s still dead. Wanda’s final goodbye in The Sandman: A Game of You. Tragic transgender characters are not always those who die. Here is where we begin to turn a corner from a tragic character to a more accurate representation of transgender people. There are several instances where characters, though experiencing tragic events, manage to survive their trials: Soldier’s Girl, Hedwig and the Angry Inch, and Hourou Musuko (Wandering Son). Furthermore there are some good examples of stories with powerful transgender characters of integrity: Orlando, The Crying Game (Oscar nominated! ), Beautiful Boxer, and The Invisibles (Lord Fanny; it should be noted her ending is semi-tragic, due to her self-image problem, but not fatal). Additionally, I have heard good things about Orange Is the New Black, but I can’t comment on that from direct viewing experience. 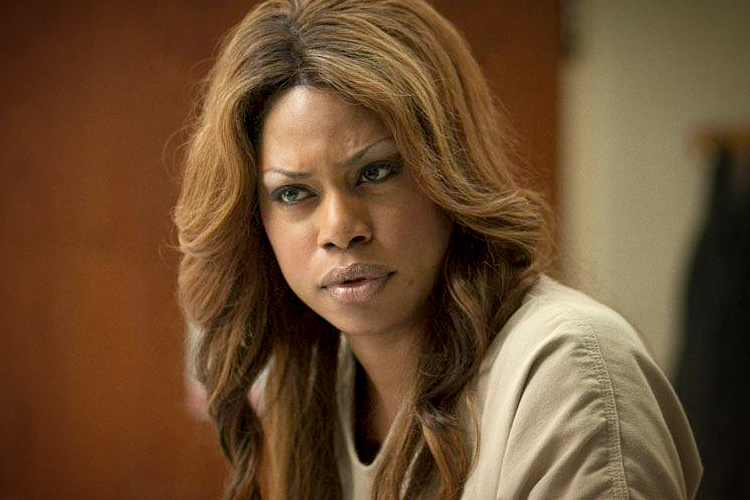 Laverne Cox is a transgender actor who has gotten strong reviews for her role as Sophia Burset (also a trans woman) in Orange Is the New Black. What is the ideal kind of representation of transgender characters? Well, not dying is a start. Our demographic has one of the highest suicide and victims of homicide rates of any demographic in the United States, even more so for transgender women of color. What kind of message does that send to young transgender people when media portrays us as that? Even if it’s accurate, it says, “’People like you DIE.” Personally, I don’t like our contemporary myths to portray people like me dying often and for dramatic effect. Let’s have transgender characters who are helpful, powerful, kind, strong, caring, sassy, and intelligent. Let’s get to a point where we think no more of a transgender character being in a storyline than we might think of a black person on Star Trek or a short person in Star Wars. Not to say we should be ignored, but we should simply be treated like everyone else and be represented like everyone else. If you have a transgender character, have a transgender actor/actress. Don’t have the inclusion be a plot device any more than any other character’s gender, race, or other demographic. Have personality drive actions instead of demographics altogether. Finally, how about a few more female-to-male transgender characters? Let’s do this. Let’s see representation. It doesn’t have to be a lot. We’re not asking for any higher percentage than is reflected in society, but when we are represented, let’s have these characters transcend the tropes that hold back transgender people and have them be characters who are ideal role models for transgender people. Let us see transgender characters as people who survive and people who thrive. Trivia Question: There are only two transgender actresses in any co-starring roles in films/TV mentioned in this article. Can you name them? 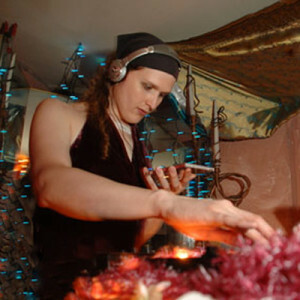 Heroines of My Life: a blog that interviews inspiring trans women. Lynn Conway’s website has been around for over a decade including trans women’s successes and trans men’s successes. Gender Psychology: Covers the basics on transsexualism, including a glossary, and more in depth psychological material as well. WPATH: An organization promoting transgender health which maintains the Standards of Care for the Health of Transsexual, Transgender, and Gender-Nonconforming People with which every medical professional should familiarize themselves. TSroadmap: General catch-all for all kinds of information, generally oriented towards transgender individuals directly, but accessible to everyone. Ora Uzel (aka Ora Borealis) is a classically trained composer (BA, MM), artist, performer, writer, and other who also runs a spiritual/nature retreat center, folds paper cranes, and dances with fire. She lives on 350 scenic acres of nature preserve in Southwest Michigan. This entry was posted in Culture, Fandom and tagged Dallas Buyers Club, diversity, fandoms, gender variant, pop culture, representation, Sandman, transgender, tropes by Michi Trota. Bookmark the permalink. I think this was an incredibly strong post and should be read by more folks, so I’m linking it in my monthly blogroll! I hope that’s okay! I’m definitely going to check out the “additional reading” links. Thank you for writing this! Thanks, Louise! Appreciate the link to your monthly blogroll! I’ll pass this onto Ora, I’m sure she’ll be happy to hear it as well. Having seen this, I highly recommend it! Of course, the Brits got it right first about twenty years ago. It’s failing was in not casting a trans actress, but, keep in mind, this was the 90s. Wow!! Thanks! I’ve been looking for a way to see this movie for ages. They used to have it in the video store when I was a kid, but I never got a chance to see it. Definitely will check it out.